Dr. Moose and Miss Molar Visit Carroll Manor Elementary School! 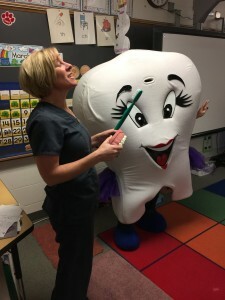 Dr. Bobbi Moose and Miss Molar, of Premiere Dental Arts, stopped by Carroll Manor Elementary School yesterday, March 9, to show 100 Kindergartners exactly how to brush and floss and generally take fantastic care of their teeth. The kids were awesome! They were so great, they all got prizes! 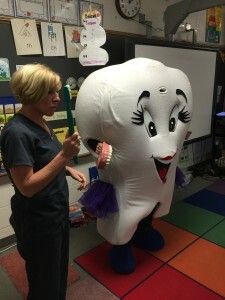 It is a huge honor to continue to be asked to present to the kids in celebration of National Children’s Dental Health Month. It is always a blast!